This June, as spring turns to summer, United Church people from across our entire Pacific Mountain Region are invited to spend time with the network that was formerly Kootenay Presbytery – exploring community, relationship and covenant in our evolving church times! 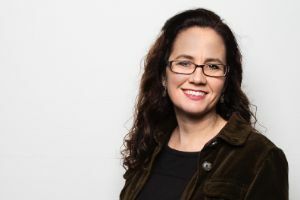 At Kootenay Faith Fest, Carol will invite us into creative, reflective conversation, re-imagining – and healing – in our progressive, multi-generational Christian contexts. Diverse Workshop Leaders offer sessions to engage our body, mind and spirit. Youth meet together in age-specific program and community. Special time is reserved for now-and-future Cluster building across the generations and ministry areas. Freedom for visiting, adventuring, and being with one another is held in all the spaces in between. 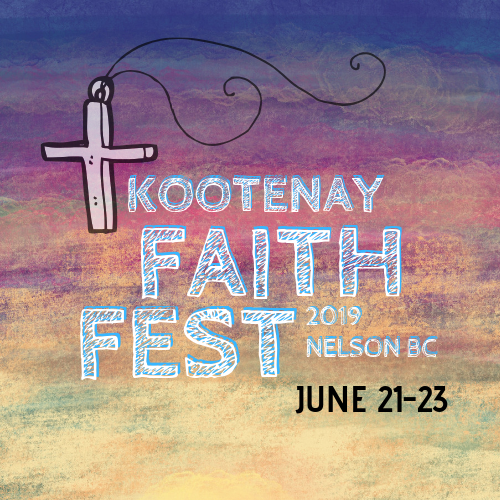 The Kootenay Faith Fest 2019 is for all United Church people in congregational and community ministry across our Region – whether in leadership, membership, located in the Kootenay’s, or beyond. Youth are encouraged to register! The Whole Group Rate for 7-12 people from the same faith community is $325 for the whole group (13 or more, add $50 per person). Accommodation and travel costs are the responsibility of participants. Billeting is an option and a travel bursary can be available upon application. Contact Brenda Wolff in the Region Office for more information. 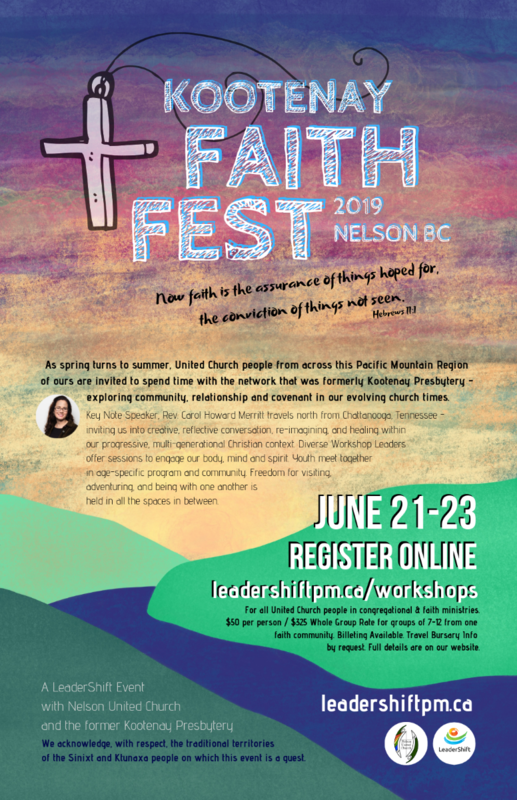 Kootenay Faith Fest 2019 is a LeaderShift Event with Nelson United Church and the former Kootenay Presbytery. We acknowledge, with respect, the traditional territories of the Sinixt and Ktunaxa people on which this event is a guest.